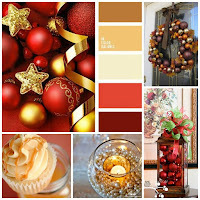 Let's get in the "mood" and by mood, I mean the latest Mood Board from Kennedy Grace Creations for this month!! The colors are just gorgeous. See for yourself! So now that you've seen my inspiration, let's get to it! I have recently learned to make never ending cards. There are tons of great tutorials already out there and I found several on YouTube. These things are awesome and now I just can't stop! 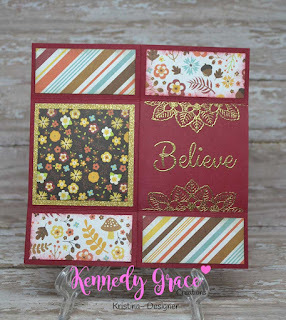 I figured this was the perfect time to make another one AND use lots of lovely products from KGC. I'm going to take you through panel by panel. I used a dark red as my main card base for the entire card. 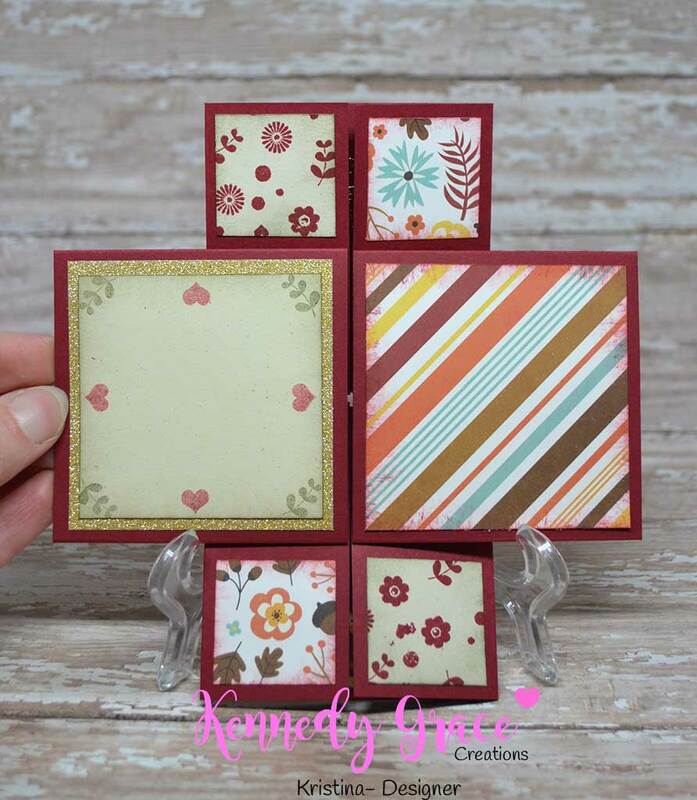 The patterned cardstock all comes from the same 6" x 6" paper pad "A Perfect Autumn" from Echo Paper. The gold glitter cardstock is made by Die Cuts With a View. Panel two has a sentiment and the main floral image from Time to Blossom. On this panel I used a copper embossing powder for the sentiment and flower. For the third panel there are no large stamped images but several smaller ones. One of the little squares I stamped a dark red on kraft paper with the small images from You Inspire Me. For the large kraft square I again stamped some of the smaller images from You Inspire Me. 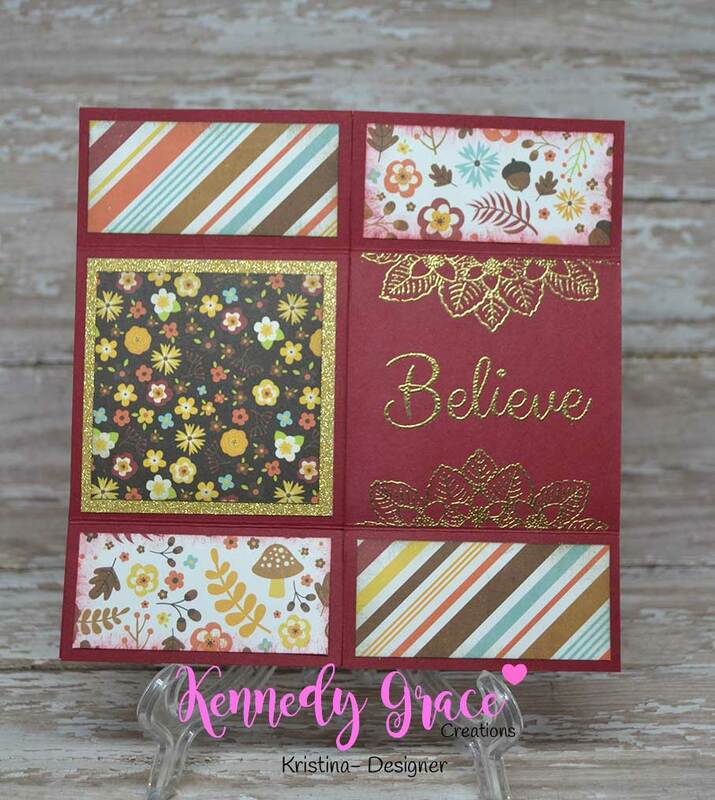 I used second generation stamping with a dark brown and a dark red. I didn't want the images to be too bright. I figured this panel could be used to hand write a small message or to put signatures. 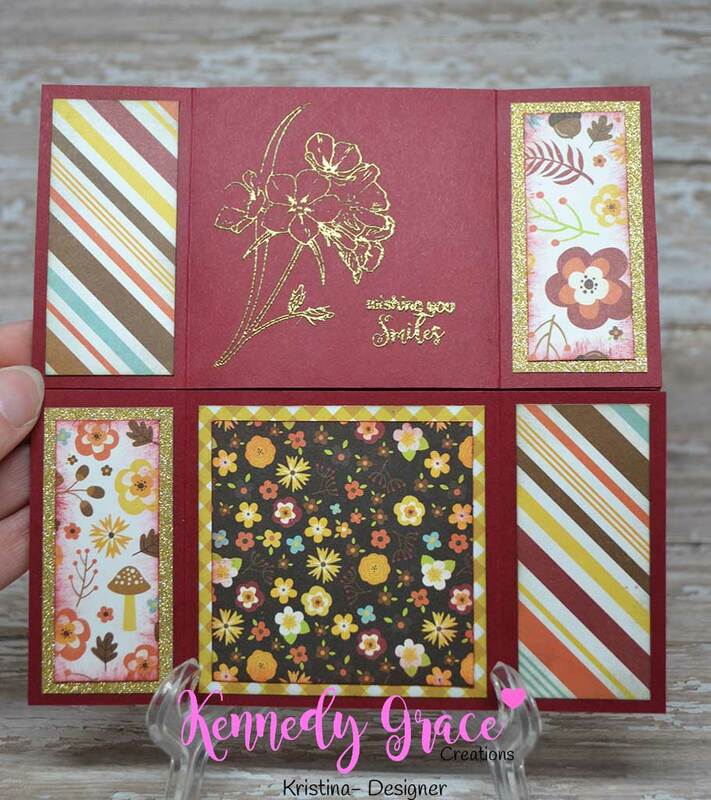 For the fourth (and final) panel of the card, I used a sentiment from Friendship Blessings and a flower stamp from Grace's Little Note. Both images were embossed with gold embossing powder. I sure hope you like my never ending card. They aren't very hard at all! Now trying to take a picture of a never ending card without using your hand to hold it up...that's hard! 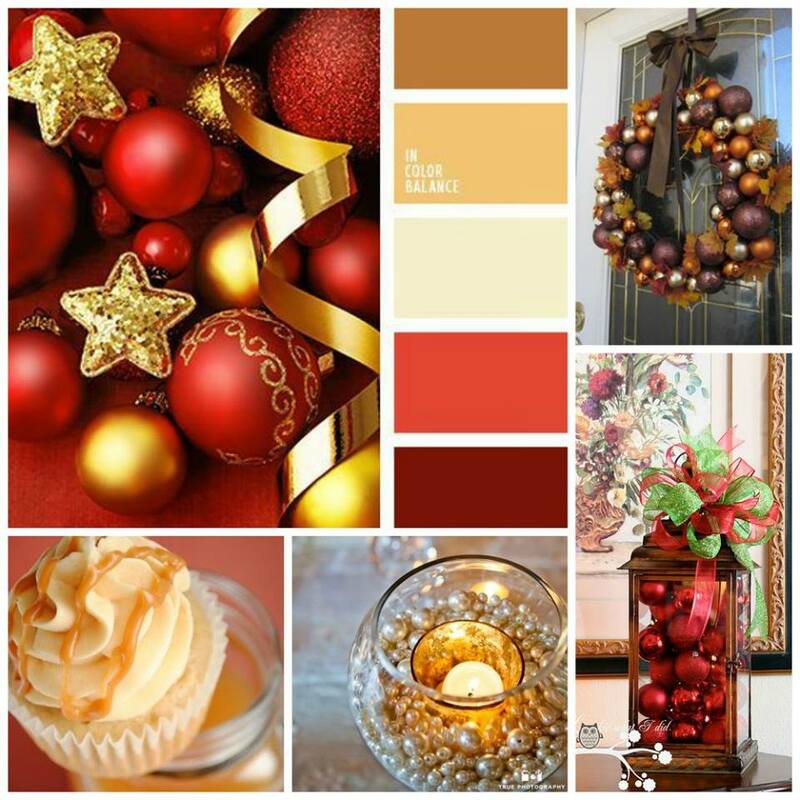 Don't forget that we would really love to see your creations on social media! 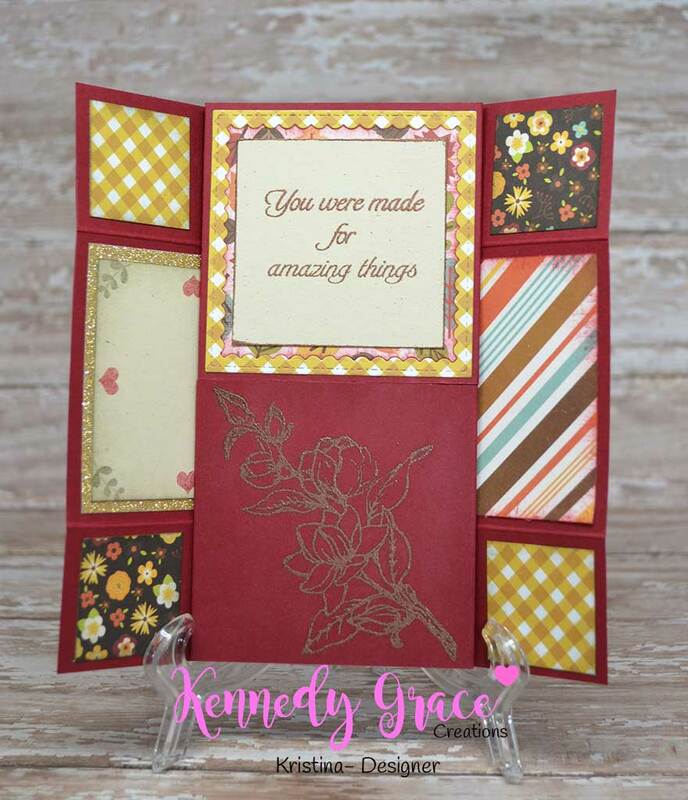 Tag us #kennedygracecreations! Check out all our social media links below. It's beautiful!!! 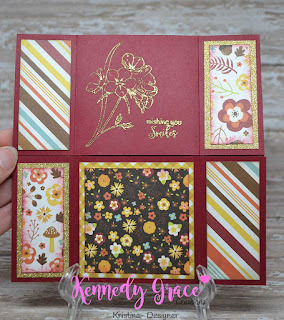 I love the combinations of stamps and pattern paper you used! Thanks for sharing.